Join the party! We’d love to hear your reasons for thinking that a bridge to Gabriola is a bad idea. This is where you should put in your two cents on the subject. Comments are moderated. If your comments do not meet our standards of civility, they will be deleted before anyone sees them. We’re asking for your comments on why you don’t want a bridge to Gabriola. This is the focus we will maintain; off topic comments (or pro-bridge comments) won’t be published. If you wish to share information with us, please use our contact form. No bridge. 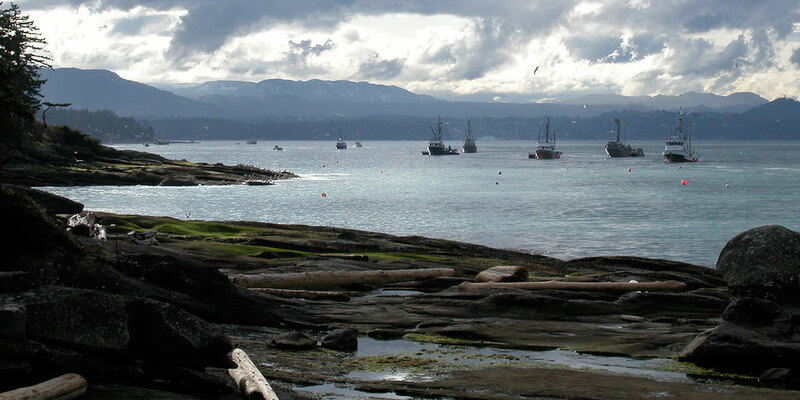 The unique ecological and cultural integrity of Gabriola Island would be placed in too much risk should a bridge be built. The convenience for the population does not out weigh the priceless value of the delicate systems we are stewards of. The Snuneymuxw First Nation and the residents of Mudge Island, are also dramatically affected and thus require consent from before further examinations occur for any bridge options. Finally, it’s a waste of taxpayer dollars for such examinations since the majority of Gabriola are obviously against a bridge being built. Thanks Penny…. agree w/ you 100 %. My reasons, for supporting the no Bridge approach…. are multi fold… and include all of the important / essential aspects of the Mandate for the Islands Trust..( the protection of sensitive island eco systems.. for future generations, of both humans and the entire spectrum of life on this island.) I also do not believe that the Ferry route for Gabriola.. should be done away with.. because the current Gov. / BCF, have mismanaged the system in favor of the major routes.. and via huge salaries with bonuses.. for their upper management heavy.. style of model. To destroy two Gulf Islands…. just to cut costs for a mismanaged Ferry system..is a sacrifice that should never be engaged. The fore shore damage.. the absolute mess it would make of the tiny Mudge Island… the list of negatives.. is so complex. Contemplation of a fixed link…. per any circumspect evaluation.. should always result in the same conclusion .. Bridge Free – Salish Sea !!! As a daily commuter, I understand the frustration with the current ferry system and I too desire affordable and reliable transportation – but NOT a bridge! We can achieve these things with a well-managed ferry system and maintain the most important “unique amenity” the Islands Trust is needs to protect – our islandness. 1) The sovereignty and sanctity of island sanctuary will be forever lost to a permanent bridge artery. 2) The way this world is going it might not be the wisest thing to have a main bridge system directly connected to Vancouver Island toward the near future for this island would surely be a mass destination for the mainland exodus of people in either a cataclysm or a possible and even inevitable social collapse for society (as we know it) where people are dashing or trying to escape en masse for whatever reason not yet foreseeable in these perilous times. 2) One of the reasons I moved to this island and practically the main reason is in hopes to possibly be able here to ride out the beginning apocalypse (no pun intended.) 3) With a bridge set up in place all the inhabitants of this little island sanctuary we got going here could be very well challenged with the warring invasion of an imposing adjacent island such as Vancouver Island if things started going awry with the outside world; just think about it. 4) It is a selfish act for the people with automobiles to think that it is not setting up the people without automobiles to be put out of their way more than they already are with the bridge plan likely to end no where near downtown Nainaimo and therefore making them pay for the extra distance the’ll have to trek naturally having to go more further out of their way than the selfish automobile driver. 5) You live on a island because you made a conscious decision to be on an island just like most of the inhabitants of the island who more than likely choose to live here too because it is an island. If you are expecting of seeking a more immediate and open expressway drive thru at your convenience maybe you should instead live on the mainland somewhere or in the city. 6) The open circuit of an open bridge exposure entry and exit way will certainly raise the occurrences for theft and vandalism along with increased drug activity and domesticated violence. 7) In the summer this island is already to its very limits with motor vehicle emissions and air pollution and with a bridge you’d get an added exhaust plume of smog that I don’t feel this island could sustain without a certain further risk and decline of breathable air to better support a quality of life on this island that shouldn’t have to be threatened in any way such as that. 8) The bridge is very likely in the end to end up with a toll charge that could end up being near as much as a ferry charge or even more depending on the capital return policies of the enterprise that builds it. In Ontario the bridges they built in the Niagara Region ended up being double and triple the initial toll charge they had promised. 9) There is likely a hidden provincial/social/political agenda behind the real reason why investors want to stratify a bridge with the mainland and none of them I bet are particularly beneficial for the living residents of this island as members of a kind of Ecovillage that could be largely challenged with foreign development policies grossly against the better good of our community with redevelopment plans that could ruin or wipe clean away the jewel crown status of this sacred island. 10) The natural autonomy that this island holds so dear is too precious to allow outside forces to try and make this island fit in with some kind of (behind closed doors) economic plan. 11) If, investors have something to gain with this island that means only that we as islanders have something to loose and at our expense of sacrifice for their gain. 12) The old famous proverb that ‘no man is an island’ should serve as good protest to those island inhabitants that think a bridge should be provided regardless or by whatever means necessary I might add, “no man is an island onto himself alone” and at bare minimum there should be an island referendum for the vote on whether or not the decision to build a bridge should or shouldn’t be vetoed. 13) In my opinion anything less than a 75% near unanimous vote would be insufficient to commit to build a bridge because you are talking about the permanent and irreversible that will affect all the livelihood of the island that would be forever changed. 14) I believe a bridge would be the undoing of this island and this place would be turned upside down to the extent that it would likely turn into a cultural wasteland not far off from doomsday as for having that much constant traffic would be unnatural to the environment to support abundant life. 15) Roadkill for nature would go up I bet at least threefold as this island wouldn’t be a haven for nature anymore. 16) With a bridge in place this island could end up in siege by whatever unimaginable future means not foreseen to us like ‘army task force personnel’ to raid in a takeover as establishing this island as a base in wartime which could be anytime. 17) I could go on and on and on of why I think that it is an outright bad decision to ever even consider a bridge connecting us to the mainland… We have a kind of island utopia here now, please… Let’s not have anything destroy that, let’s keep this island the peaceable kingdom of sovereignty that it is! And with a Godspeed of wisdom to know the difference. If opinions against a bridge are the only allowed comments here then you might want to rethink the title on each page of this web site which asks the question: Should there be a bridge to Gabriola Island? That question makes it seem that you’re looking for opinions from all sides not just one. I think the title heading is pretty clear as it is, as is the whole thrust of all the words taken together on the main page, and indeed all of the words on all of the pages as a collective whole. To sum up: Should there be a bridge? Why, no. There are people who think there should be a bridge. Are their opinions allowed here or do you only want opinions from people who don’t want a bridge? As Mudge would get TWO bridges if this idea went ahead, can we reflect the name of the group to include No Two Bridges to Mudge? At this point changing our name is not going to happen, for a number of reasons. But at the same time, a bridge to Gabriola that crosses Mudge would certainly impact Mudge Island, and probably in many ways even more devastatingly. We don’t want or intend to overlook Mudge. Our intention is to make its concerns very clear in the content we post on this website. At the moment we don’t have a lot of material talking about Mudge, because we don’t live there and don’t have a window into the community’s experience. We would love to give prominent voice to people from Mudge about what those impacts would be on their community. Can you write something up and post it here, and encourage others from Mudge to do the same? In today’s Nanaimo Daily News (December 4, 2014) and in response to the Bridge Free Salish Sea group’s belief that there should be no bridges to any of the Gulf Islands, founding member of the Gabriola Bridge Society, Jeremy Baker is quoted as stating “I don’t think it’s fair that other Gulf Islanders have any input into what Gabriola can have”. As a Mudge Islander myself, has Mr. Baker given any consideration as to just how hypocritical his statement actually is? Mr. Baker’s bridge design would cross from Cedar to Mudge Island over Dodd’s Narrows. Then a highway would dissect Mudge Island in two, travelling down the center of the Island until reaching a point across from the Brickyard/El Verano area, where a second bridge would cross to Gabriola. The result would be catastrophic to Mudge Island, yet Mr. Baker believes that no other Gulf Islanders should have any say? I am aghast to even the thought of a bridge, especially if this is any example of the mindset of those in favor of! People who live on islands that are “pro-bridge” should simply not live on islands. Does anyone really want gabriola to become a suburb of south nanaimo? Islands are only truly unique because they are in fact islands. The idea of opening up gabriola to vehicle traffic would destroy it’s character. Even more ridiculous – the hienous idea of building a bridge from Vancouver to Vancouver Island would be a nightmare. The entire island would be a solid traffic jam every single weekend. Its ridiculous how easily a few signatures and a pot of money can destroy natural beauty and the lifestyles of so many people. If you don’t like the seclusion, character and bliss of living on an island, get the heck out.